Stacy joined the UMMC Team in February of 2018 as a bookkeeper in our Warrenton office. 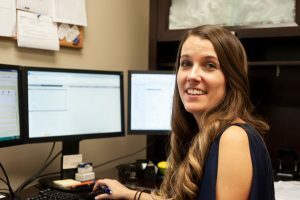 She comes to UMMC with more than 15 years of experience in bookkeeping and accounting and is a QuickBooks Desktop ProAdvisor. Stacy is part of our Client Support Services Division offering accounting, bookkeeping, and payroll support services. Stacy lives in Catlett, Virginia with her daughter and fiancé. In her spare time she enjoys visiting local wineries, reading, and going to the beach.